Hang this eerie canvas wall art project on your porch and it will show up whether the lights are on or not! Spooky! Ribbon: 2” wide, 1.5 yds. EEK! Halloween Canvas Wall Art was designed by Roxi Phillips. 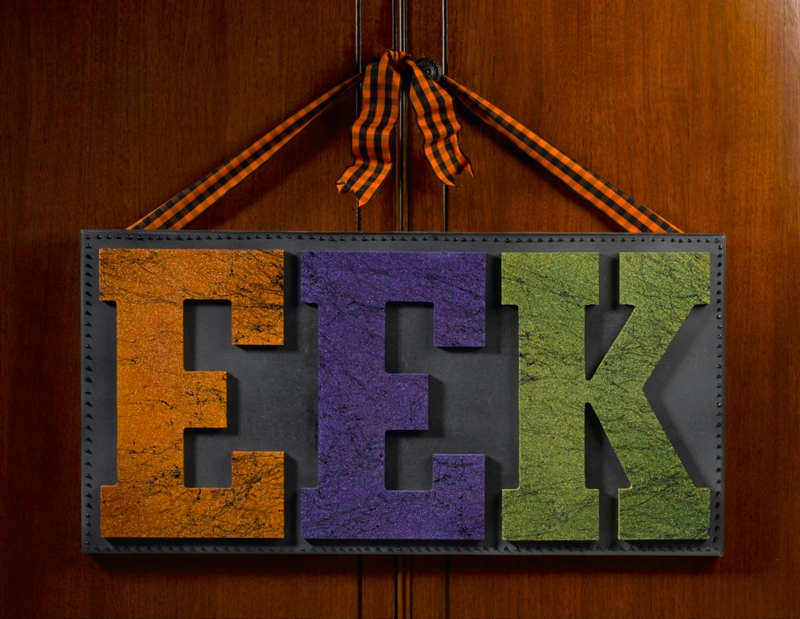 Discover more Fall spray paint projects from Krylon&Reg;.